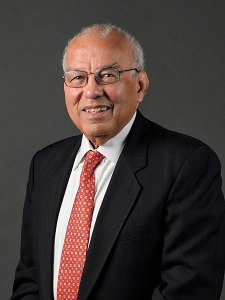 The former president of Xavier University of Louisiana (XULA), Dr. Norman C. Francis will receive the University of Notre Dame’s 2019 Laetare Medal, the most distinguished honor bestowed to American Catholics, during Notre Dame’s 174th Commencement Ceremony on May 19. Francis presided over Xavier for more than four decades. During that time, XULA’s enrollment almost tripled, the endowment increased and the institution became the leading producer of African-American medical school students. The institution also is nationally ranked in the number of African-American students who earn undergraduate degree in physics, pharmacy, chemistry, biology and life sciences. Throughout his presidency, Francis gained recognition as a civic leader and remarkable statesman. He has served in advisory roles to eight U.S. presidents on the issues of civil rights and education and has also served on 54 boards and commissions. Francis is currently a member of the Vatican’s Pontifical Council for Justice and Peace, of the Board of Trustees at the Catholic University of America and is on the board of directors of the National Catholic Conference for Interracial Justice. In 2006, Francis was honored with the nation’s highest civilian award, the Presidential Medal of Freedom by President George W. Bush. The Laetare Medal is named because each recipient is announced in celebration of Laetare Sunday, the fourth Sunday in Lent on the Church calendar. Latin for “rejoice”, “Laetare” is the first word in the entrance antiphon of the Mass that Sunday that anticipates the Easter holiday.